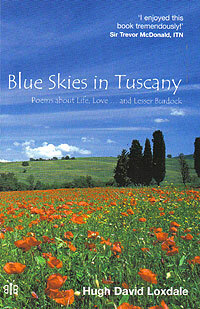 By turns moving and wryly humorous, personal and universal, this collection of 84 poems offers a series of philosophical musings on the natural world, and touching on numerous aspects: friendship, love, loss - including the threat to the countryside, - animals, plants, the weather, the stars...indeed all creation. Hugh Loxdale writes for those who revere the natural world and aspire to understand its mysteries. Her pulsing breath, ...her only word.